The 36th fall dinner party was held on October 8th 2016 (Saturday) at 888 seafood restaurant in Rosemead, California. -Registration, Sign in, networking started at 5:30 pm. Early arrival raffle tickets were distributed to those who arrived between 5:30 pm and 6:00 pm. 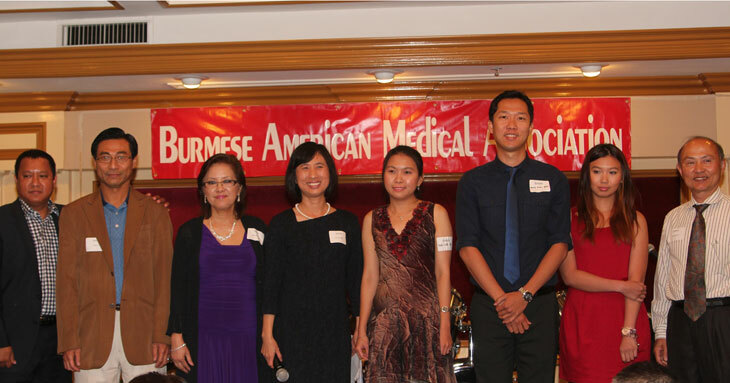 -Fall dinner party program was started with warm welcome to the members, families and guests at 6:10 pm by MC Dr. Mya Myo Aye. -Sponsor (Ms. Glorimar Brown) from IM Health science talked about natural supplements for dyspepsia and irritable bowel syndrome at 6:15 pm. -At 6:20 pm, CEO (Ms. Peggy Fong Chan) of Re/Max Omega in Arcadia and Monrovia gave the updates about real estate market and she also drew 5 early arrival raffle tickets and prizes were given. -At 6:30 pm, BAMA president Dr. Sandar Kyi gave a speech about our mission, activities involved, updates about our association. She also introduced the new invited guests and new members to the audience. 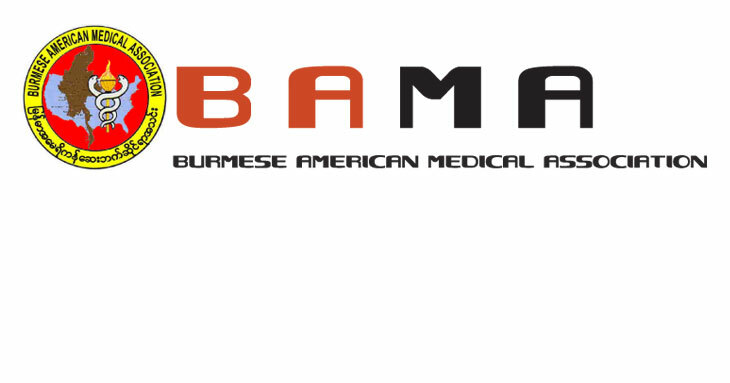 -At 6:40 pm, BAMA secretary Dr. Kyaw Moe presented updates including the previously agreed upon membership fee raise to $120/year starting from 2017. -At 6:45 pm, entertainment program was started and Dr.Kenneth Chhek took over as MC. -At 7:00 pm, dinner was started. Members, families and guests had fun and enjoyable time with the entertainment program including Burmese dance, puppet show and songs performed by talented members and guests. 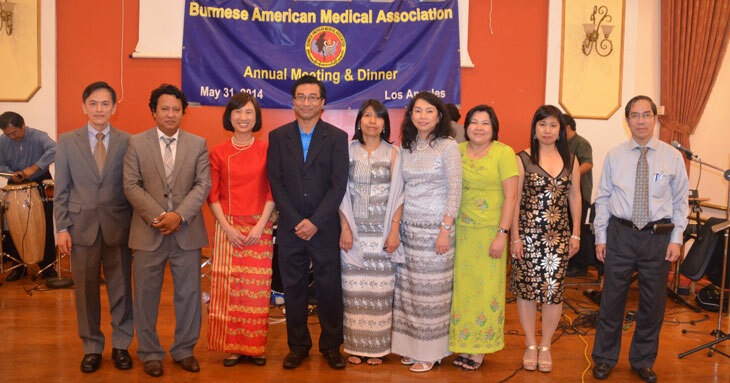 Dr. Khaing Myint and music band played excellently with entertainers. Dinner was more lively and fun with performance by singer Jet San Htun from Myanmar. Entertainment program was a great success and appreciate hard work by entertainment committee members Dr.Wai Wai Soe and Dr.Tommy Leong . During dinner, raffle tickets were drawn and grand prize was an iwatch. Vice president, Dr.Ohnma Win also conducted Halloween theme game as well. 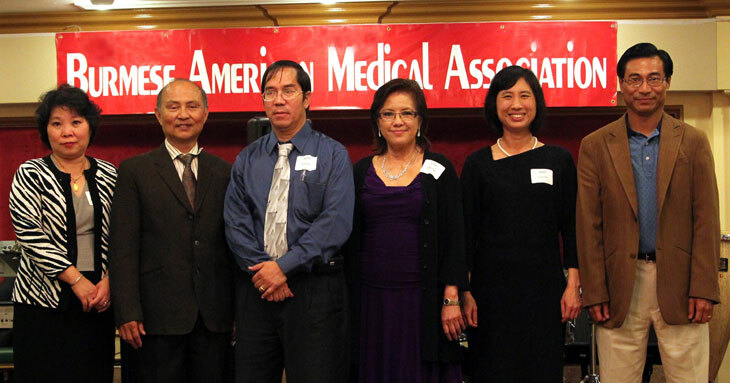 Dinner was attended by approximately 195 members, family members, guests, residents, EC members and board of directors. Dinner program was successfully concluded at 10 pm.